Every business owner says it; “Do I really need a written contract?” The answer is “YES, YES and YES!” Using a written simple contract agreement is like buying insurance for your business deals, but much better. What Is A Simple Contract Agreement? These promises define the relationship being undertaken as well as what happens if the business relationship doesn’t work out. If one party fails to act according to their promises, then they have “breached” the contract and can be found liable for damages. The damages typically equate to what the non-breaching party would have received if there had been no breach. He has promised to order products and you have promised to provide them at a discounted price. Is the agreement worth anything? Unfortunately, the answer is probably not. Turning back to our example, what if you thought you were going to give a 10 percent discount and he thought it was 20 percent? What if you can’t resolve it and he insists you provide the discounted products? You will end up in court with the dispute coming down to which party the judge or jury believes. Are you really willing to take that gamble? With even a simple contract agreement, you can create a clause containing language that states you will give a 10 percent discount. If the dispute ends up in court, he is asked if his signature is on the bottom, the clause is read and you win. The contract should also contain a clause requiring the “prevailing party” to be reimbursed for their attorney’s fees and costs. In short, he has to pay your legal bills as well. An additional benefit to using a written contract is the due diligence element. Remember that there are unethical businesses. In negotiating a contract, very specific requirements are put in writing. What if the other party starts squirming? It may be a sign they are unable to meet their obligations. Might that give you pause before you commit to tying up your inventory? You can save yourself a lot of headaches by discovering this information in advance. In summary, even a simple written contract should be a mandatory bullet in your arsenal. Much like car insurance, you will be glad you have one if a business transaction falls apart on you. Here is an example of a simple contract agreement you can do online for yourself. PrevHow to Succeed in Business! An agreement between two people is better binding if there is a documented version of it. 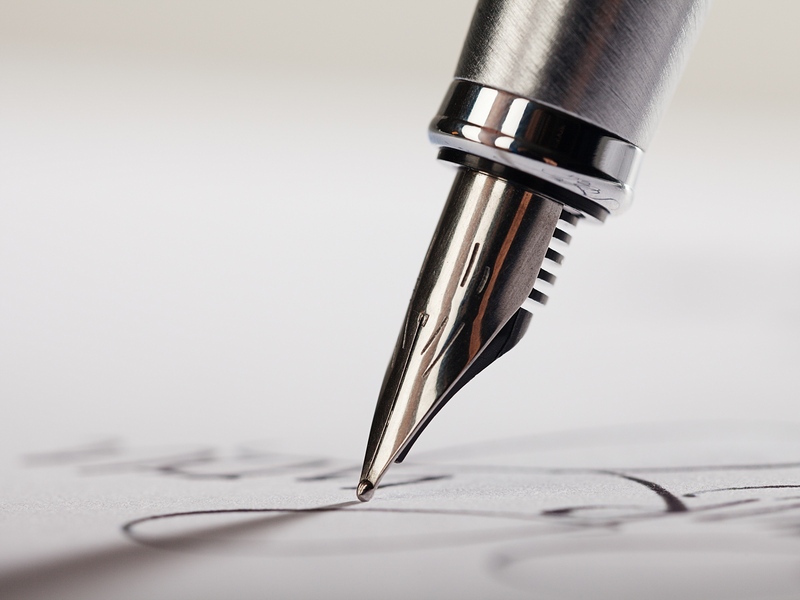 Writing a simple contract is as important as the business itself. These contracts come with various clauses and conditions which might simply save you the possible legal tussles in the future. As a matter of fact, no business should be ventured into without a contract. I was once saved the trouble of paying more than $23,500 by a simple contract agreement. Always have a contract. You are so right, and even the small agreements between friends sometimes need the reinforcement of a contract. I absolutely love what I read in this insightful article because it is full of great information. This is interesting to me. Engaging in a contract with a partner should be a documented, written agreement and is a form of witness between each partner. This is an insightful and educative article. Not necessarily if it is a simple contract, but you would do well to have a witness or two to also sign. Thank you for writing this informative and educative article about Simple Contract Agreements. After reading your article. I have understood the importance of having a contract agreement. I have no doubt that this is the perfect way to be committed within two parties. I will definitely use this in my real life activity. I am going to share this helpful article with my other friends also. Great initiative and a lesson for everyone. A written contract is the best type of contract. People most times make a deal or go into an oral or verbal contract base on trust or knowing the person for long, but the truth is when money is involved anything can happen I mean trust can be broken. Therefore, when someone is choosing a contract always choose a written one even if you trust the person or the person is you relative. Well said Chris. Even with friends this is a wise idea. I deal with a lot of clients and having them take advantage of my business and low price just because we have no agreement is really getting on my nerves. Once the client took advantage of me when renting a TV from me as I didn’t state how many days in it and now, he doesn’t want to return it. Another one took 4 months to create 500 tshirts which doesn’t make sense because usually, that can be finished in a week or two. Agreements, they can save your life and time from ever having a bad deal. Which just proves my point again Riaz. I hope that you have learned from your mistakes and always make sure to have contracts, both in your personal and in your business dealings. Creating contracts can save your life, your time, and it prevents the other party from taking advantage of you. I remember printing t-shirts once as a business since I didn’t have an agreement with my supplier, she took her own sweet time (5 MONTHS) to create a mere 100 t-shirts which was a very long time and I couldn’t do anything about it because there were no contracts. I’ve also ended up in bad deals where I wasted a lot more money than I earn because there were no contracts. Yes sometimes even the simple things, which seem mundane, like a lady printing your t-shirts would need a contract, no matter how much you feel that you can trust them.